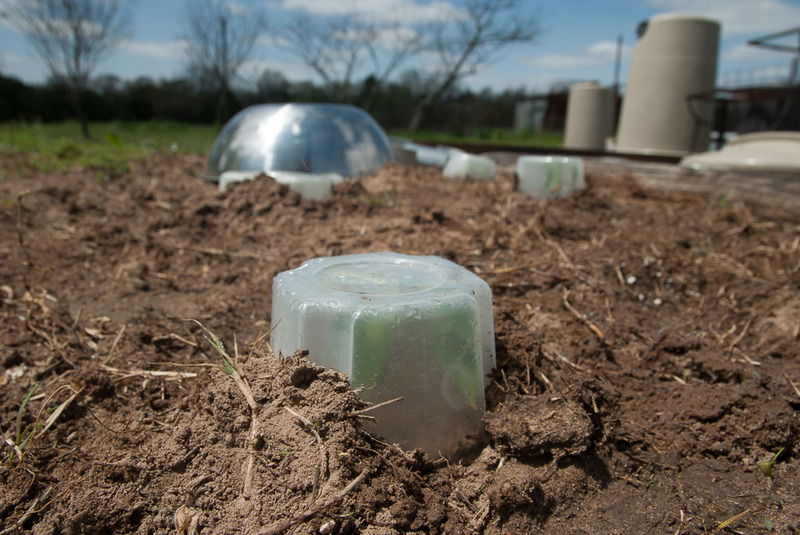 Is this my garden, or a Tupperware farm? A bell pepper plant takes shelter under a plastic container in my garden today. Readers remember that I got my garden in the ground last weekend after what we hoped would be the last freeze of the season. But Oklahoma weather is a fickle mistress, and the next two nights are forecast to include a freeze. 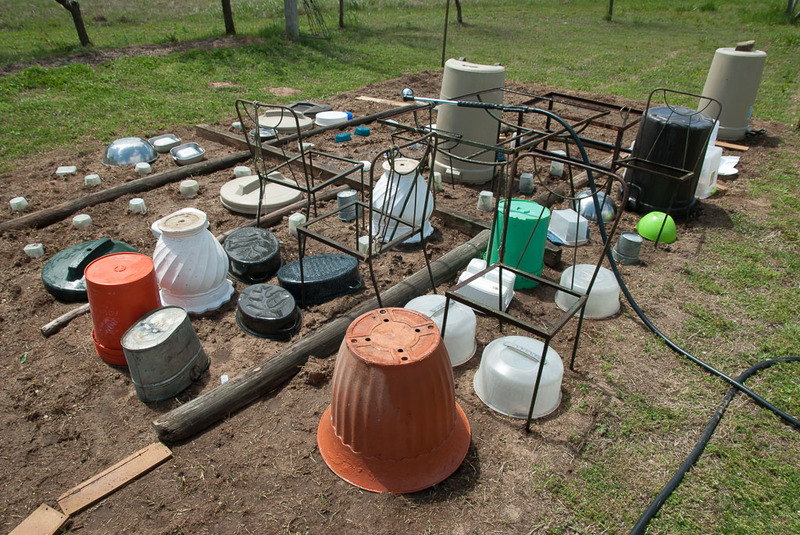 As I result, I gathered all the containers I was able to muster to cover the plants in the garden. That should protect them, though it was a pain to get it all together. 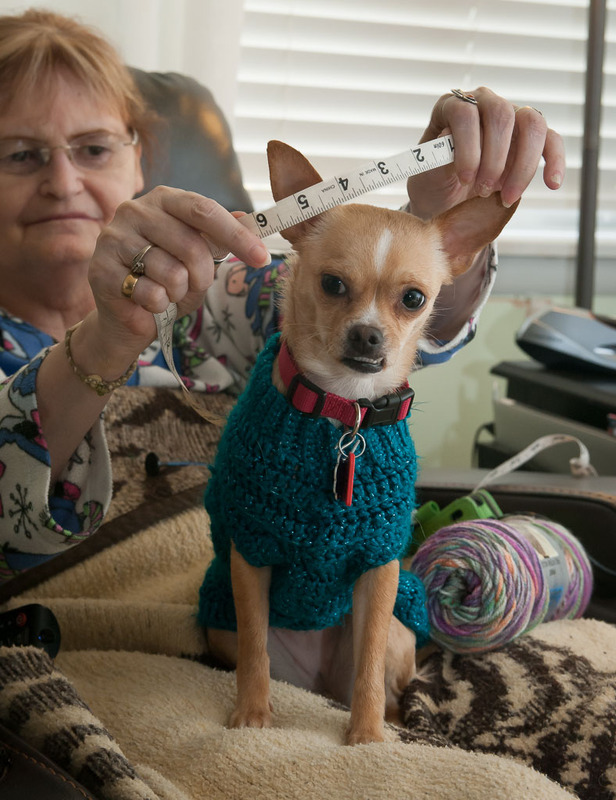 Also in response to the cold, Abby is crocheting a sweater for Summer, our tiny newly-adopted Chihuahua. While Abby is doing this, Summer is wearing Sierra‘s sweaters, which are about 30% too large for her, and which keep coming off. Abby measures Summer for a new sweater. We are both amazed at how well this abandoned little dog has fit into our lives. Just a note … I’m going to be spending less time on Facebook, so I might not see notifications of blog posts. I’ll keep an eye on your blog, though. I’m done with Facebook and a lot of things.